If you haven’t seen my exciting news I shared on my Instagram, I’m now a Magnitone Ambassador! I’ll be sharing my honest opinions on their products, sharing photos and tips. The first Magnitone product I have started incorporating into my daily skincare routine is the Barefaced VibraSonic Daily Cleansing Brush. Lately, my skin has been clear (which I’m very thankful for), but it looks very dull and has an uneven texture around my T-zone. The spinning bristles really help to deep clean and eliminates dead skin cell build up which can cause the skin to look dull and uneven. Here comes the science bit, the VibraSonic technology created by Magnitone, is a powerful combination of oscillations and pulsed vibrations this works to dislodge dirt and dead skin cells for a deep clean. I noticed my skin looked more vibrant and fresh from the first use. 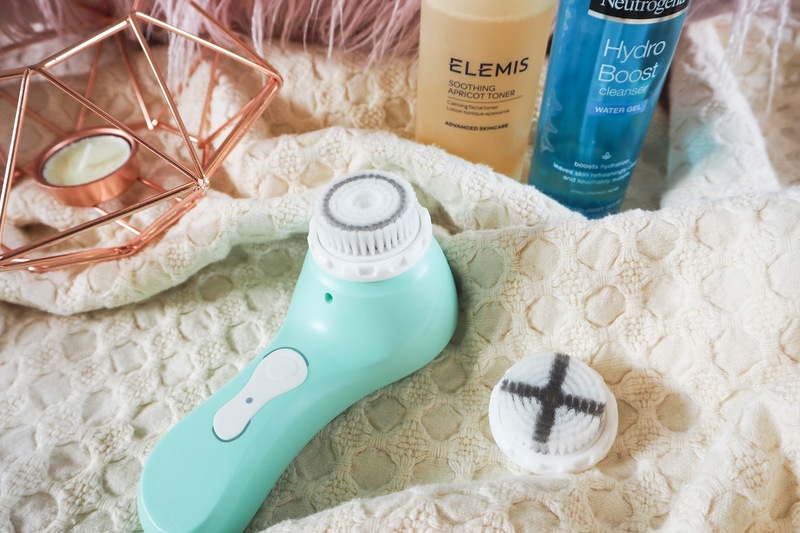 I massage a small pump of my Neutrogena Hydro Boost Water Gel Cleanser onto to skin and then use the Magnitone Daily Cleansing Brush to work the product in. The brush has 20-second timers which help you focus on each area of your face. I would advise this as a second cleanse not to remove your makeup to get the full results. Magnitone also sell interchangeable brush heads which target specific skincare concerns like acne, but they also have a brush head for sensitive skins. This makes the beauty tool customisable to your skin's needs from week to week. When you purchase the brush you also receive a portable USB charger and bag for travelling. The Magnitone Daily Cleansing Brush is 100% waterproof too so it can be used in the shower for an even deeper clean. The Magnitone Barefaced VibraSonic Daily Cleansing Brush has really improved my skin’s texture and vibrancy. DISCOUNT: This Bank Holiday weekend, Friday 25th August until Monday 28th August 2017, my Ambassador link and the code AUGUST30 will get you 30% off all Magnitone products! This sounds like a lovely product! 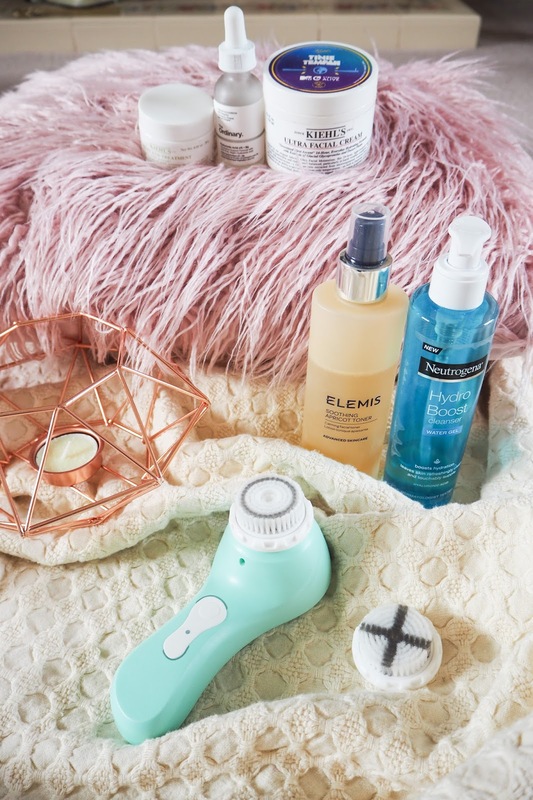 I usually use my Clarisonic and I love it! Thanks for the tips. I wasn't sure if I should get one. This is an amazing post as I wasn`t sure whether I should get one or not. You totally convinced me. This is what I need! I should get one soon. I swear by my Olay Pro-X brush and have been using one since 2013! My first broke down early this year and I have already repurchased a new one.